If There Was a National Coin of Canada, This Would Be It! From the majestic caribou to decorative dogwood, our neighbor to the north has a plethora of diverse animals, flowers and foliage, unlike any other country. 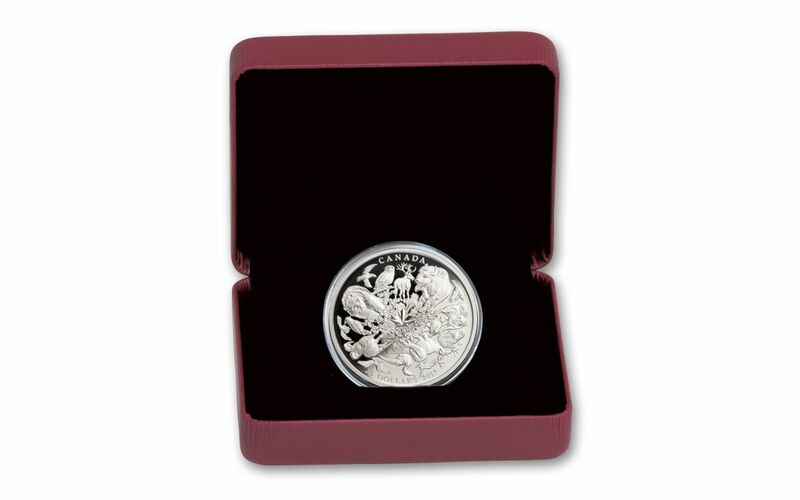 Now, a two-ounce gleaming coin showcases their best-of-the-best in flora and fauna. An artistic collage depicts the owl, bighorn sheep and caribou (among other animals) along with native flowers and foliage, all with a pride-provoking Canadian maple leaf at the center. Each province and territory is represented in ultra-sharp details – it's like an amazing 3-D-like experience! 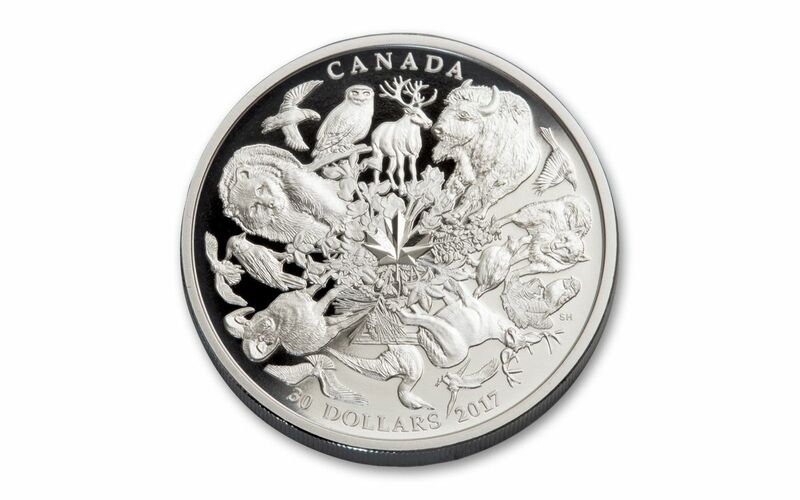 Now discover the iconic beauty of Canada's wildlife and flowers for yourself in this gleaming silver proof! 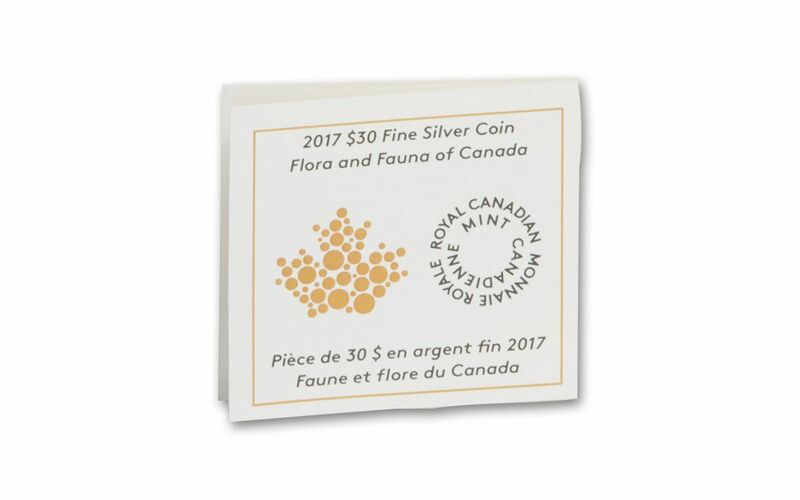 Unfortunately, there's a limited availability of these unique coins, and if we know Canadians, they'll be after this coin whether they collect or not! Now’s your chance to own a stunning tribute to Canada – don't let it get away. Order at GovMint.com today. 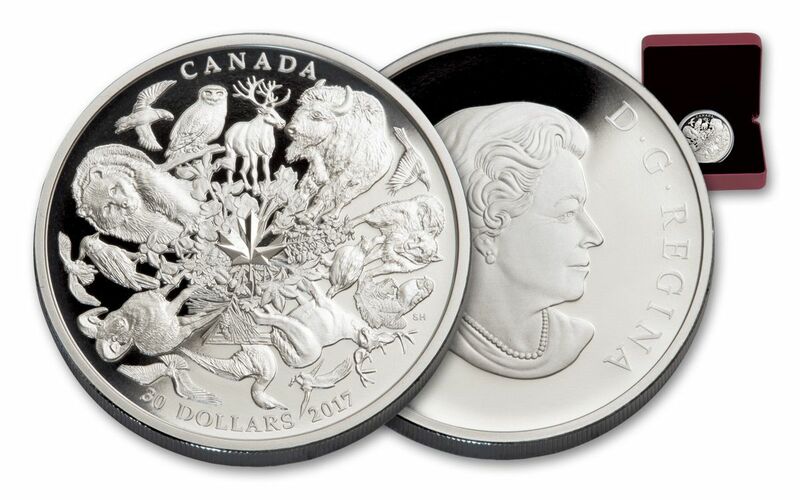 POWERFUL PORTRAIT OF CANADA - This spectacular $30 silver proof features emblematic "flora and fauna" native to Canada on its reverse in razor-sharp detail. Graced with several animals and flowers, this proof is like a mesmerizing piece of art! 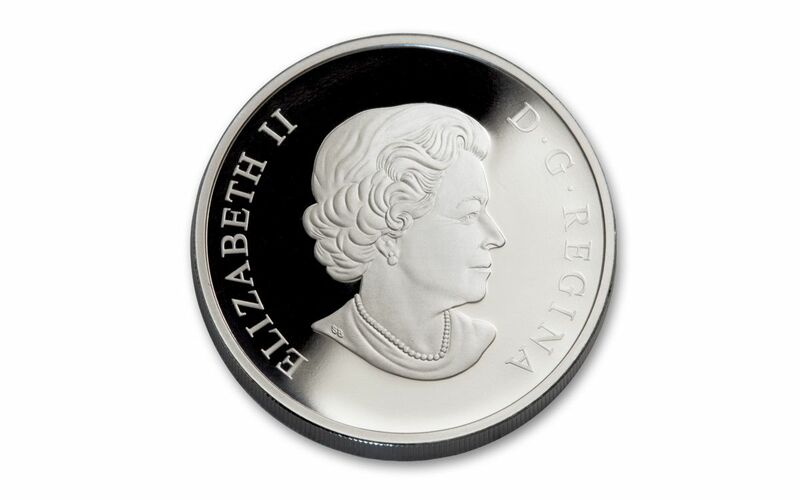 The obverse contains the Susanna Blunt effigy of Her Majesty, Queen Elizabeth II. Inscriptions surrounding the portrait read ELIZABETH II and D G Regina, meaning Di Gratia Regina, or "Queen B the Grace of God". 99.99% SILVER - Struck in 99.99% silver, this gorgeous 2-ounce proof coin weighs 62 grams and was struck on specially-made silver planchets using polished dies. Multiple strikes were made to produce the lustrous, mirror-like surfaces and ultra-sharp details. CANADIAN LEGAL TENDER - Each 2-oz. silver proof is 30 dollars Canadian legal tender. PROOF CONDITION - Each coin is struck with a proof quality finish and certified to be in proof condition. This means you see all the images with razor-like sharpness. ELEGANT BLACK CASE - Your coin will arrive in a rich, maroon clamshell with sleek black beauty box, along with its certificate of authenticity. LIMITED MINTAGE - With only 4,000 allotted, each of these 50mm coins is sure to go! 4,000 isn't many to go around with thousands of serious coin collectors, so be sure to place your order at GovMint.com right away. We can’t stress enough how popular this beautiful proof will be – even to non-collectors. With that said, give this coined tribute to Canada a place of honor in your collection and order from GovMint.com today!